"A retro style high octane blaster!" 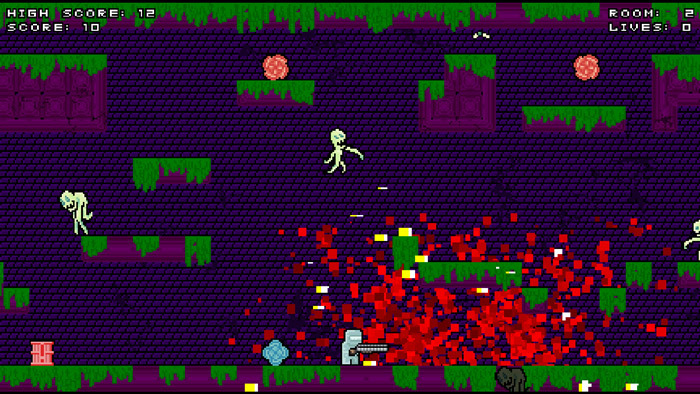 Run, Gun, Key, Fun is a retro style fast paced action platform game. Some kind of radioactive liquid has infested the sewers turning humans and insects in to mutant or zombie versions of themselves, luckily you are have a huge selection of weapons from machine guns, to shotguns to bazookas although it’s random which weapon you will spawn with the same goes for the levels they will randomly generate so there may be a slight difference in each one every time that you respawn after dying. 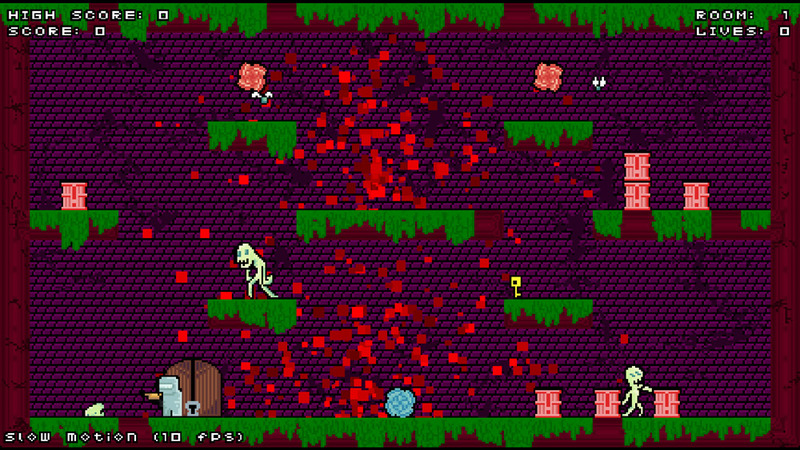 In each level you must find a key and then the door to the next level to progress, whilst blasting any zombies, mutant flies or things that seem like mutant slugs that get in your way. The game was made is very fast paced and enemies spawn all over the place, so you will need to have your wits about you to keep up with the enemies all over the place, the game was built for a month long game jam so the developers didn’t have time to implement all the features they wanted but it is undeniably simple fun. The retro style of it gives it a very 80’s arcade game feel and may well spark feelings of nostalgia in more mature gamers and younger gamers will hopefully enjoy the pure simplicity of it. 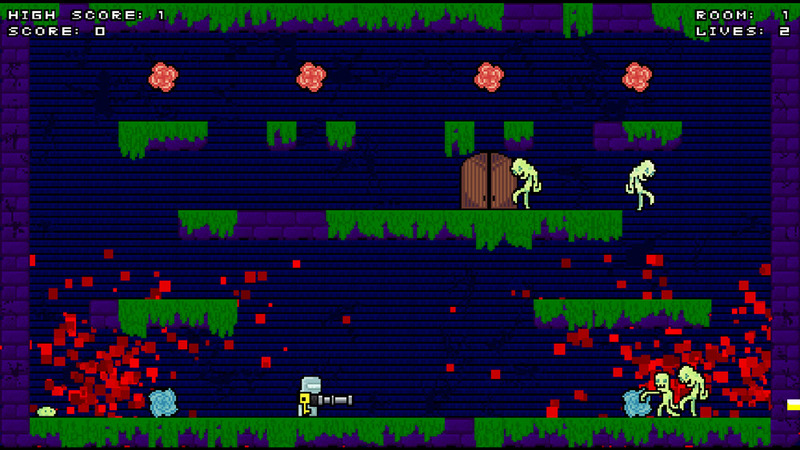 You can download Run, Gun, Key, Fun here for free.